Every football manager has a buzzword. Jose Mourinho likes to talk about 'stability', while his one time apprentice Brendan Rodgers has an almost comical infatuation with 'character'. Alex Ferguson used to underline the importance of 'consistency', and more recently Arsène Wenger has persistently eluded to the need to maintain the 'cohesion' in his Arsenal squad. 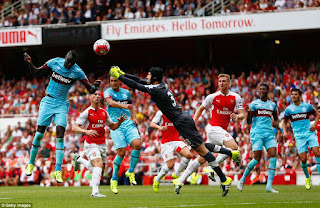 However, as Mauro Zárate's tame shot caught out Petr Cech for the second time in a nightmare home debut, Arsenal fans might have had the harrowing realisation that Wenger's 'cohesion' chat has simply masked the weaknesses exposed by a West Ham side recently knocked out of the Europa League by an unknown Romanian outfit. Indeed, the Frenchman has merely employed the term 'cohesion' to disguise Arsenal's failure to significantly improve the squad this summer. 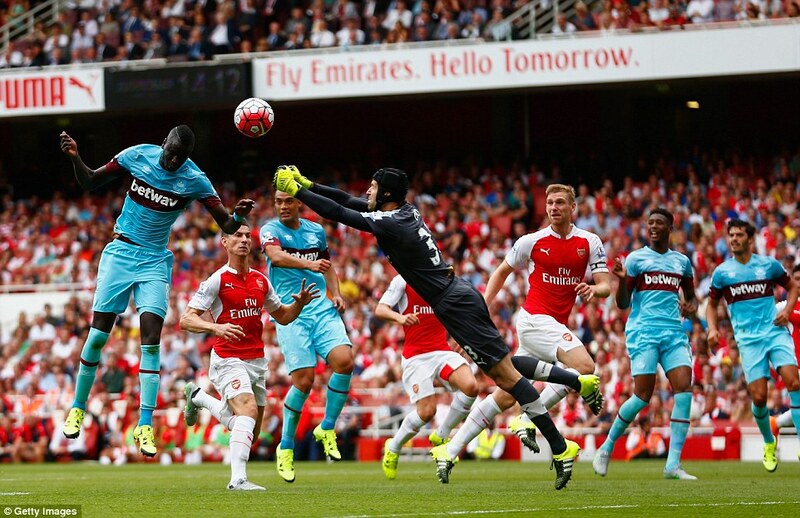 It was almost as if Wenger had blindfolded his supporters and led them into a dark room, only for the big surprise to be a flying Cheikhou Kouyaté beating Arsenal's big summer signing to the ball and head into an empty net. The only cohesion that the current crop of Arsenal players have achieved in recent years is the ability to consistently finish just inside the top four while limping out in the last sixteen of the Champions League. A couple of FA Cup triumphs have momentarily silenced Wenger's critics but he knows as well as anyone that he won't be out of hot water until he delivers the Premier League trophy to the front door of the Emirates. Oliver Holt was spot on in today's Mail, referring to Petr Cech as the first piece of Arsenal's jigsaw rather than the last. When Cech signed for the Gunners back in June there was certainly cause for optimism, and not just because Arsenal had lured a club legend from one of their biggest rivals. Wenger had got a big piece of business done and he had got it done early. Arsenal fans had every reason to believe that more was to follow and that this might be remembered as the summer when Wenger finally left his mark on a transfer window. 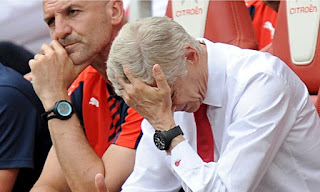 Since then, however, the 65-year-old has continued to harp on about not wanting to disrupt the 'cohesion' in his squad. In the meantime, Manchester United have signed Bastian Schweinsteiger and Morgan Schneiderlin, the latter of whom would have been perfect for an Arsenal midfield that is crying out for an enforcer. Karim Benzema has been linked, as he seems to be every window, but Wenger has almost seemed insulted every time the Real Madrid man's name is mentioned to him. The Arsenal manager must realise that summer is a time for change. Every June, flocks of university students pledge that this will be the summer when they finally get that well oiled beach bod. Similarly, Arsenal fans always convince themselves that the imminent summer will be the one when they assemble their new breed of 'Invincibles'. However, the Gunners have been chasing the perfect summer body for far too long now, and have simply been going to the gym and taking selfies in the mirror without actually putting on any muscle. The problem Wenger faces is that only a proven star signing will comprehensively improve his squad, and those kind of players aren't available very often. However, the need for a defensive midfield general has arguably been obvious since the departure of Patrick Viera, and one can't help but assume that Wenger is aware of that glaring void among his wide selection of play makers. Thierry Henry's former teammates might have struggled to hold back the giggles when the Frenchman pinpointed Francis Coquelin as the answer to Arsenal's midfield problem, even going as far to compare the 24-year-old to Gilberto Silva. Safe to say that Thierry might have received a few 'see no evil' monkey emojis in 'The Invincibles' group chat after that comment. Coquelin is merely a short term fix, and if you offered every Premier League manager the choice of Matic, Schneiderlin, Yaya Touré or Coquelin, the Arsenal man would be propping up that list nineteen times out of twenty. It was particularly apparent when West Ham went in front today that no Arsenal player stood up to the situation to rally those around them. 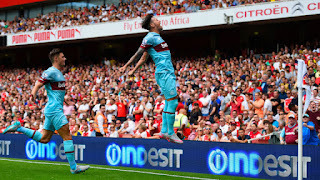 It's all well and good playing attractive football and thrashing teams that come to the Emirates to roll over and have their tummy tickled, but when a physical side like West Ham turn up with the intention of disrupting Arsenal's rhythm, the Gunners still lack leaders with the mental toughness to grind out a result. Think back to Jose Mourinho's first season back at Chelsea. The Blues suffered a trophyless campaign, and 'The Special One' wasted no time in identifying the weak points in his squad before signing Nemanja Matić, Cesc Fàbregas and Diego Costa. 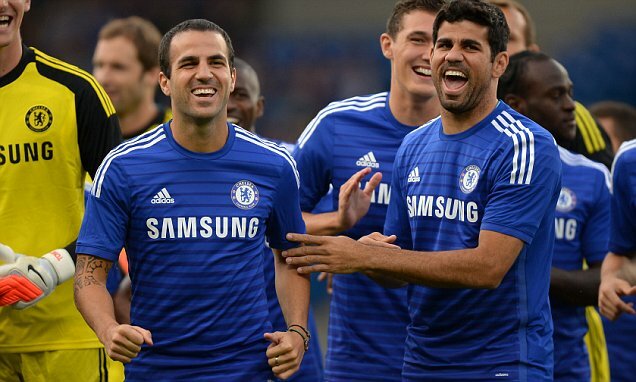 The following year Chelsea won the title with all three of Mourinho's summer signings playing a key role. Being open to change is what Champions do, and it's exactly what Wenger's stubbornness is preventing Arsenal from doing. The longer it goes on, the less likely it seems that the Frenchman will change his ways. This summer provided the perfect opportunity for Arsenal to steal a lead in the title race with none of their nearest rivals considerably strengthening. Chelsea have taken a gamble on Radamel Falcao, Manchester City have placed a lot of faith in Raheem Sterling to reverse their fortunes, and Manchester United have made some decent acquisitions but are still yet to find their identity under Louis Van Gaal. Arsenal's inability to capitalise and bring in a top holding midfielder coupled with a clinical centre forward may be a mistake that costs them the league. With the season now underway, one wouldn't bet against the other components of the top four adding some new faces before the transfer window slams shut. You can't help but wonder exactly how signing a couple of proven pros would disrupt the 'cohesion' of Arsenal's already talented squad. If anything, the club's ambition would galvanise the players in the same way that signing Özil and Sanchez did. Mourinho recently claimed that the increasing strength of sides outside the top four will render the Premier League harder to win than ever this year. It is the unpredictability of the English top flight that makes it the best for the watching world, and it simply wouldn't be entertaining to watch Chelsea beat bottom ten teams 8-0 every weekend. Like a good movie, a viewer isn't going to sit down and watch something which has a predictable plot twist, they want the mystery murderer to be the farmer's wife who we haven't seen since the second scene of the film when she was running from a dark figure which turns out to be a metaphor for her conscience. In the same roundabout way, it's far more interesting to see Leicester come back from 3-1 down against Manchester United than accept defeat and implement defensive measures to avoid any more damage to their goal difference. Indeed, the TV money being pumped into the English top flight means that sides in the bottom half of the table can attract players from some of Europe's top clubs. Crystal Palace have signed Yohan Cabaye from PSG, West Ham have brought in Dimitri Payet, and Stoke have acquired Ibrahim Afellay from Barcelona. The extent to which teams outside the top four are improving means that the ones currently residing within it can't afford to neglect the transfer market like Arsenal have. Today's result just goes to show what a bit of preseason hype and winning the Community Shield can do to expectations. There was an undoubted air of optimism surrounding Arsenal this summer, a sense that with the signing of Cech something in North London has changed. In reality however, nothing really has. Arsenal might yet go on to enjoy success this season. The last time they lost their opening fixture they went on to win eight of their next nine league games. However, you get the impression that unless they strengthen before the transfer window closes it will be another season of near misses and disappointments. Wenger needs to change his approach and move with the constantly evolving Premier League monster or it may end up leaving him behind. A well-written piece, but the arguments are flawed. Jumping on bandwagons, and repeating what loads of people say, doesn't make them right. The truth is that if you are going to judge a manager, you need to take into account circumstances. Before Abramowich and then the middle east owners came along, Arsene showed he could punch above his weight. Only Man Utd with their huge wealth could compete. Then with 3 highly financed teams, and a restriction in finances while Arsenal paid back their debt, he competed reasonably well, but couldn't quite win anything. But still Arsenal punched well above their weight (compared with Liverpool, Spurs, and everyone else). At any time he could have jumped ship and taken a lucrative job anywhere he wanted and could have won loads of trophies (as per Mourinho, lvg, etc). But he saw the challenge in competing against the odds, and tried to build a new arsenal era. This started last year, when we could, at last, compete financially. So instead of losing his best players, he kept them, and actually could buy his own. So 2 FA Cups in 2 years, is the start. In the next 3 years, we will be adding top players as and when we can But only 1 or 2 per year, as that is all you should do if you want to keep cohesion and team spirit. 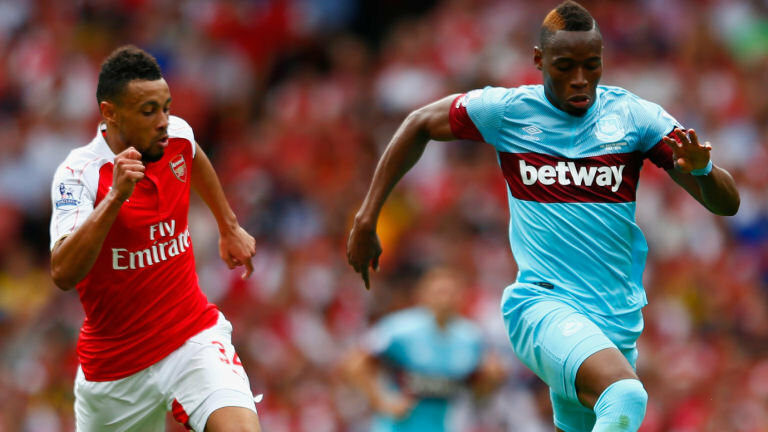 Arsenal have a core of young British players who need to play. Not every week but some weeks. Gibbs, Chambers, Chamberlain, Walcott, Welbeck, Ramsey. Another load of really talented younsters. Amongst that lot, we have a few world class players, like Ozil and Sanchez. And we'll compete for trophies, and as long as financial fair play does make reasonable competition possible, Arsenal will win some trophies. In what possible way is that being left behind? In what possible way is that not being a far superior manager than any other around?